Internet Security Research Group (ISRG) is behind the initiative, with the constant backing up of EFF. EFF has created the certificate authority Let’s Encrypt, run by ISRG. Now, the first SSL / TLS certificate is being issued and people are invited to participate in the beta testing, in order to make the most out of the free, open-source certificate and the powerful encryption used. Web encryption has always been of paramount importance, especially to those who value privacy and anonymity. EFF (which stands for the Electronic Frontier Foundation) has managed to set up Let’s Encrypt, a certificate authority that is free and open-source. 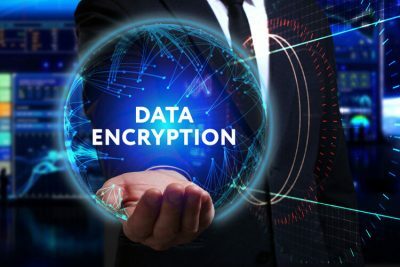 The whole effort to provide encryption under this initiative was launched last fall and is now bearing its first fruit. This is a huge breakthrough, since there are significant security risks for Internet users who enter specific websites. With the contribution of Let’s Encrypt, the website owners will be able to provide exquisite security quality to their visitors through SSL / TLS certificates. These certificates will make the most out of encrypting the data received and sent between the visitor and the site. Everyone with a domain will be encouraged to apply this certificate issued by Let’s Encrypt, so as to perfect the HTTPS implementation and allow the ultimate layer of protection online. All the website owners who wish to take part in the beta testing of the certificate (which is about to launch by November) are kindly requested to fill in an application form and send it over for evaluation. EFF has published an article where the first certificate is celebrated, under the title: “One Small Certificate for the Web, One Giant Certificate Authority for Web Encryption”. This highlights most eloquently how great the importance of getting such a certificate encrypting data online can be for society. Let’s Encrypt boasts being not only free and open-source, but also transparent and automated. As a result, it remains thoroughly secure as an option of encryption and it relies on the cooperation of everyone who wishes to participate and add something for the common good. Internet Security Research Group (ISRG) is behind the initiative, with the constant backing up of EFF. The constant cooperation of the scheme with the most popular and widely used Operating Systems of the market today (Google Chrome, Mozilla Firefox, Microsoft Edge, Apple Safari etc.) is offering quite an optimistic touch to all the people who really want to see results. So, if you are the owner of a website or an online store and you are worried and skeptical about security issues, this can be a solution that actually works! With encryption applied everywhere on site and with easy, free and practical to use certificates that really help out, you can optimize the overall user experience and security you offer to your visitors. This is certainly a win-win situation for website owners and Internet users.